The capaNCDT 6500 series is a multi-channel capacitive displacement measurement system that offers sub-nanometre resolution, unmatched temperature stability and rapid changeover of sensors without any re-calibration required. Due to its extreme resolution and flexibility, the system is ideal for high-accuracy displacement, positioning, thickness, gap, drift or creep measurements in R&D applications, test laboratories, quality assurance, academic institutions, semiconductor manufacturing, military, aerospace and defence applications where measurements in the sub micrometre and nanometre measurement scale are required. The capaNCDT 6500 uses a unique, active-driven, hermetically sealed, triaxial RF cable, in combination with an active guarded three-electrode sensor. The system is therefore electron leakage-proof, creating a protected and homogenous measurement field. 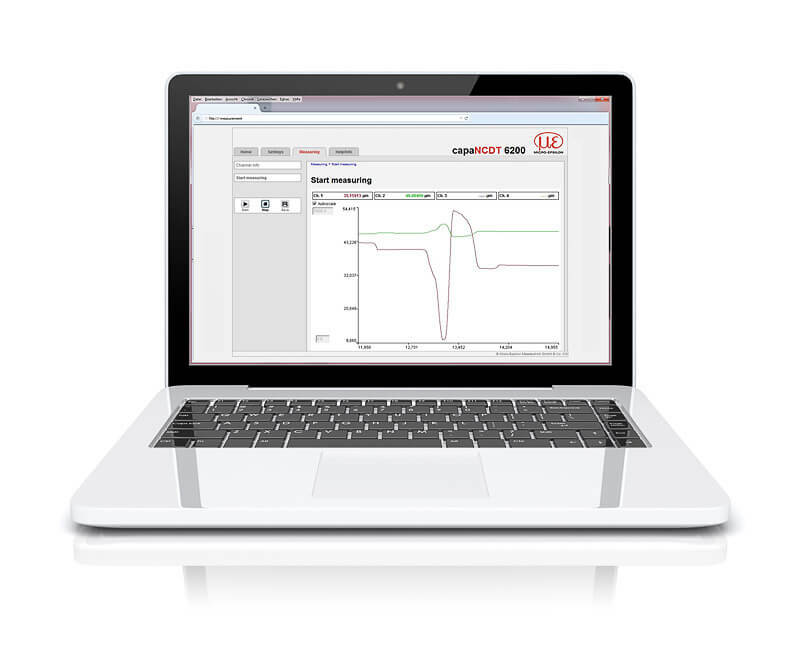 This means the user obtains stable, precise, interference-free measurement data. The capaNCDT 6500 comes with an Ethernet or EtherCAT port with 24-bit resolution. Each measurement channel has a unique IP addresses, so that measured data can be easily output and then shared over a network. As the measurement signal is output digitally, the system does not suffer any loss in resolution or measurement accuracy compared to conventional analogue systems – the signal can even be transmitted to the other side of world! The capaNCDT 6500 system is designed for measurements tasks that require sub-nanometre resolution. Its strengths are demonstrated particularly well in positioning tasks in the semiconductor industry and laboratory applications. 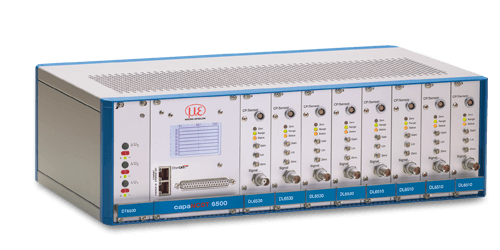 The modular capaNCDT 6500 is designed for multi-channel applications. Up to eight sensors can be connected via a preamplifier to the signal conditioning electronics. Due to a user-friendly web interface, the entire configuration process of controller and sensors is carried out without using any additional software. The web interface can be accessed via Ethernet and provides set up and configuration options for filters, arithmetic links and other useful parameters such as triggering, measurement value storage and linearisation. The capacitive DT6530 controller offers maximum resolution and signal stability for capacitive displacement measurement. The controller can be operated with up to 8 channels and is not only suitable for electrically conductive objects, but also for insulators. As well as analogue outputs, the controller is also equipped with an Ethernet digital interface. The DT6530 controller is compatible with all sensors and cables of the capaNCDT series.